Tecno Mobile company is a brand founded in 2006 in Hong Kong which manufactures high quality mobile phones at low and affordable prices. If you’re looking to buy a new phone, try shopping from Techno and enjoy an experience like no other. Jumia Egypt has an amazing collection of smartphone releases from Tecno Egypt which include amazing series releases such as Tecno Spark, Tecno Phantom or Tecno Camon. If you’re searching for budget phones, you can also get some high quality ones from Tecno Mobile that promise amazing performance. You can also find many different vibrant colors to choose from like, black, gray and gold. Shop online today for an enormous collection of Tecno Mobile products. The collection available on Jumia Egypt for Tecno Mobile smartphones and budget phones is endless. For smartphones, get yourself a Tecno C9, Tecno Phantom 8 or Tecno L9, as an example. For budget phones, find Tecno T371, Tecno T432 and Tecno T349. Explore and discover the new and innovative technology that is Tecno Mobile and choose the mobile phones best suited for you. 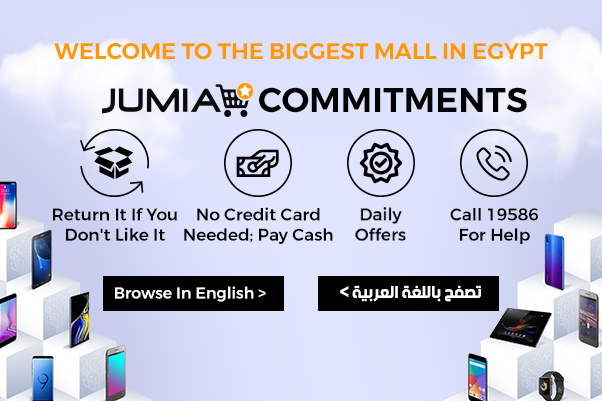 Shop online at Jumia Egypt to enjoy secure payments, fastest delivery in Egypt as well as free returns for all products.